Critically assess Oticon’s approach to change management. Oticon is born in 1904 as a distributor and in 2007, Oticon’s most sophisticated product ever was introduced on the market (Oticon 2009). A major milestone in the 100 years of Oticon’s existence has been the implementation of the strategic change initiated by Lars Kolind in response to modifications in the operating environment and is resulting to multiple operational changes. We are here in front of a change that modifies in depth the culture, management and structure of the whole organisation. Beside the dimension of the change there are other factors that have to be analysed like change typologies, strategies, triggers, drivers and barriers and also the level of effectiveness of this change. There are different change typologies e.g. Grundy (1993), Tushman et al (1986), Dunphy & Stace (1993) or Burnes (2004 p.323) “Incremental or fine-tuning forms of change are geared more to changing the activities, performance, behaviour, attitudes of individuals and groups, whereas transformational change is geared towards the processes, structures and culture of the entire organisation”. Nadler et al. (1995) also defined 4 types of changes that are somehow similar to the three already described; Tuning (incremental and proactive), Adaptation (incremental and reactive), Re-orientation (transformational and proactive) and Re-creation (transformational and reactive). This change is a large scale Re-creation or Corporate transformation i.e. frame-breaking or discontinuous change to transform the organisation from slow and inflexible old-fashioned lacking key capabilities especially in developing and promoting new products, into a learning and knowledge based organisation. Kolind made the decision to be radical by removing all vestiges of Oticon’s “old style” and replacing all the ways of working in terms of organisation, communication, job descriptions, line management, etc… even building and workstations. Interpreting the drivers for change experienced by Oticon, which necessitated a radical re-thinking of the company’s competitive strategies, demonstrates that the company found itself misaligned with its external environment. Trading losses, increased competition and technological advances challenging Oticon’s state of equilibrium (Hayes, 2007 p.80) triggered a hard drive to improve financial performance and maintain competitive advantage. Depending on the phases of the change we are in and the level of change (corporate, business or functional) we can use multiple strategies or at the same time or in the different implementation steps. 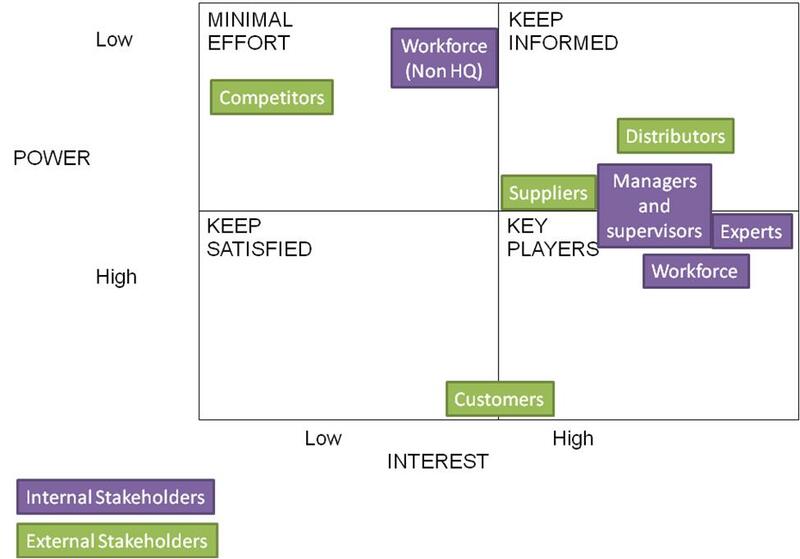 Considering the competitive forces model (threat of new entrants, bargaining power of suppliers, threat of substitute products or services and bargaining power of buyers), Porter maintains that only three generic strategies are available to organisations: cost leadership, product differentiation and specialisation by focus. Oticon’s CEO built his vision of product differentiation developing a concept of the organisation’s ideal future, identifying its mission and formulating a clear statement of desired outcomes. He made it clear that the new mission of the company was: “To help people with hearing difficulties to live life as they wish, with the hearing they have.”. If we look at the Leadership, Focus and Process, we realise that Oticon is effectively using that strategy in order to bring more buy-in from the organisation to develop a new culture based on blending the new systems (knowledge based organisation) and the human values (treat employees as responsible adults). Oticon used a Resourced Based Model to achieve above average profitability by developing VRIN (Value, Rare, Inimitable, Non-substitutable) resources. They indeed involved the workers in getting consensus on the new direction and its rationale and developed new resources like offices, IT capabilities, skills, knowledge and aptitudes. The main triggers here are changes in technology, disconnect with market’s needs, unbalanced global positioning and more advanced competitors leading to the risk of being out of business. The company had to make a decision and define what will support the change initiative (drivers). As described by Hayes, Force-field analysis, based on Lewin’s (1951) three-steps model involves two broad types of forces, the ones supporting and the ones resisting change. “When the forces pushing in one direction exceed the forces pushing in the opposite direction the dynamic equilibrium changes. The level of behaviour can be changed towards a more desirable state by increasing the strength of forces for change in the desired direction (increasing the driving forces) or by diminishing the strength of restraining forces” (2007 p. 137). There are other tools or methods to evaluate drivers and barriers to change as e.g. SWOT or PESTEL analysis that may even be more valuable as they will encompass a broader spectrum of data to analyse. One of the main drivers (Supporting forces) was to bring Kolind as CEO of the company. Oticon was evolving in a growing market which is positive force to achieve better results. He had a vision for Oticon which was revolutionary by changing in depth the company’s values i.e. its reason to be and also to implement the technology to enable the change e.g. IT. Another major driver is the consistence of the vision and strategy and the way it had been put in place by involving all workforces (even if it is a top-down approach) and explaining not only the change but also the rationale. On the other hand, there were some resisting forces as after analysis the CEO realised that there was nothing they could do better than the competition. Original skills and competencies were not adapted to the new structure and so had to change the culture. Resistance to change was a restraining factor as they had to fight against people losing part of their power as the organisation was flattening to transform from a technology based company into a knowledge based one. There are 3 main approaches to Organisational change, planned, emergent and contingency. Lewin (1947), Bullock & Batten (1985) and Kotter (1995) defined steps in the Planned approach but based on the change that has been implemented and also the way it had been done shows a mix of the Planned approach (top-down approach) and Emergent as they will change the structure, the culture, the learning and the managerial behaviour. The CEO also involved the theory E and O in the process and built a shared vision i.e. we may say that the overall approach used is the Contingency one, meaning seeking to use the best method available for a specific environment. Another key point explaining it is not a 100% Planned approach is that even if indeed we have an Unfreeze and a Make the change steps, we don’t really have a Refreeze as when it seemed to re-freeze, the CEO went back to a Make the change step (step 5 from Kotter 8 steps, 1995). In conclusion, based on financial terms, market shares or the sustainability of the solution, there is no doubt this approach has been the right one for this specific environment. The vision has been clearly communicated and the different strategies used have been effectively and efficiently implemented to drive the change and overcome the resistance that could have undermined the objectives’ achievement. The implemented change is impacting not only the organisation but also the other stakeholders. It is therefore interesting to first analyse who are the impacted people to see how they were impacted and how their resistance has been overcome while implementing the new structure. The leadership style used to change the company’s culture is also key to analyse how Oticon dealt with people during the change. The aim of the change is multiple, redefining corporate culture to include a better customer service, to improve employees’ involvement and also to facilitate launches of new ideas and products on the market place, to achieve competitive edge in the sector. I would paraphrase the PMBOK Guide definition of stakeholder i.e. an individual or an organisation that is actively involved in the change, or whose interests may be positively or negatively affected as a result of change execution or change completion; they may also exert influence over the change and its result (PMBOK Guide, 2000). This analysis allows us to better determine how to approach the different stakeholders to make sure we can get their buy-in to achieve the objectives of the change. As we can see, internally the resources are highly interested in the change as they will be the engine to make it happen. To mitigate the risk of potential conflicts, Lars Kolind has clearly communicated that he has the legitimate formal power to send the ultimatum that if someone is not eager to accept the change he should leave the company. 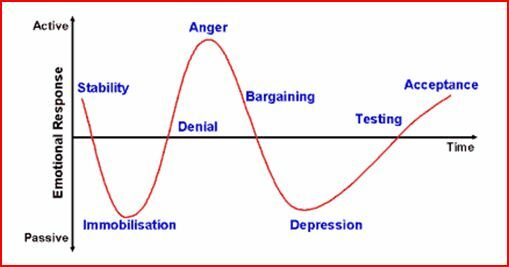 We also have to realise that even if we go through these stages, it may take more or less time to go through these. If we consider the timeline of the Oticon change, we can see that it took from 1988 (appointment of the new president) till August 8 at 08:00AM (this shows Chinese superstition) to have the change implemented and impressive results were reported in 1994. After 2 years of using the usual tools to increase profit, Lars Kolind realised that he had to go for more radical change to bring Oticon to a sustained competitive edge. It took 15 months to prepare all minds and souls to accept the change to work in a “structureless” structure or a “spaghetti organisation”. He also successfully used the Participation tactic (Kotter and Schlesinger 1979) to overcome the potential reluctance in the company. As the company is to be seen as being composed by responsible adults, they could not hide the situation anyway, therefore it made sense to get the support from the staff and be open with them. Other tools have also been used, education and communication as communication is at the centre of the new approach, so the new direction and the human values have been communicated to get employees buy-in and understanding. Facilitation and support tactic to ensure staff will have the right level of skills has also been put in place. Oticon offered the employees a PC and motivated them to identify their training needs. On the other hand, no negotiation was available, as if the staff rejects the new approach, he is asked to leave the company. Leadership means different things to different people and many theories have been developed about leadership e.g. Fred E. Fiedler (Contingency Model in 1967), James Kouzes and Barry Posner (Leadership in Action in 2003), etc… Let us also clarify the difference between a Leader and a Manager to avoid confusion. Hayes (2007 pp. 168-69) will split the differences in terms of what has to be done and the capacity to do it. Lars Kolind can be seen as a visionary leader using a transformational approach to motivate his employees to deliver is vision. He is, as defined by Burnes (2004 p.510), using the force of his personality to motivate his followers to sacrifice their self-interest in favour of Oticon. The Managers also had to play a role (Top, Middle and First level management, (Burnes 2004 p.500)) delivering the vision. Simple processes have been implemented to open projects (1 senior manager approval is enough) and the most impacted managers are the ones moving from a hierarchical structure to a project based organisation which implied changes in their behaviour to attract the best staff in their team and retain them. Oticon made the conscious decision to treat their employees as responsible adults i.e. used Theory Y assumptions. McGregor (1960) maintained that there are basically two views of human nature: a negative view – Theory X; and a positive view – Theory Y. Theory X, consists in a view where the workforce tries to do as less as possible, avoid responsibility and will look for security more than what is best for the company. Theory Y, on the other hand, consists in assumptions that give a much more positive view of human nature, e.g. eager to increase the level of responsibility, staff is usually keen on sharing and use creativity and consider work as something natural. Burns listed many definitions of organisational culture, but the one, even if laconic, I would go with, is the one from Drenna (1992: 3) i.e. Culture is “how things are done around here” (Burnes 2004 p.170). We demonstrated that the change in Oticon can be seen as a Re-creation or Corporate transformation i.e. frame-breaking or discontinuous change that impacts the whole organisation. This means the culture in the organisation will have to change to enable sustainability of the competitive edge. This is the reason why all things reminding the past and the old culture had to disappear including walls and buildings. Burke and Litwin (1992) consider that a transformational change e.g. Oticon’s involves a paradigm shift, and completely new behaviours. Instead of changes designed to help the organisation do things better (incremental change) the organisation needs to do things differently or do different things (Hayes 2007 p.121). Denison gives us the 4 main pillars to success in this type of cultural change, consistency, mission, involvement and adaptability (Denison Consulting 2009). Lars Kolind used those 4 main streams in his implementation plan as he spent time building his vision, developed the mission for the company, consistently communicated it and involved the stakeholders in the process to adapt the company to the better respond to the market. To conclude this part of the essay, we can say that Lars Kolind had the right leadership style to change in depth the culture of Oticon and sustain this change in order to deliver the vision he committed to. BUCHANAN, D. and HUCZYNSKI, A., 2004. Organizational Behaviour – An Introductory Text, 5th ed. London, UK: FT Prentice Hall. BURKE, W. and LITWIN, G.H., 1992. A Causal Model of Organizational Performance and Change, Journal of Management, 18 (3), pp. 523–45. BURNES, B., 2004. Managing Change, 4th ed. London, UK: Prentice-Hall. JOHNSON, G. & SCHOLES, K., 1993. Exploring Corporate Strategy. London, UK: Prentice Hall. KOTTLER, J.P. and SCHLESINGER, L.A., 1979. Choosing strategies for change. Harvard Business Review, pp. 106-114. MCGREGOR, D., 1960. Theory X and Theory Y, in D.S. Pugh (ed. ), Organization Theory: Selected Readings. London, UK: Penguin. MULLINS L., 2005. Management and Organisational Behaviour. 7th ed. UK: Pearson Education Limited. NADLER, D., SHAW, R. and WALTON, A.E., 1995. Discontinuous Change. San Francisco, CA: Jossey – Bass.